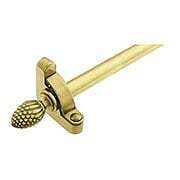 Beautifully detailed pineapple finials add a gracious touch to these deluxe carpet rods. The 1/2" diameter hollow tubing and plain brackets are made entirely of brass with a durable, plated finish (chrome stair rods are plated over zinc). Choose from 28.5", 36" and 48" lengths. These slender carpet runner rods feature gracious pineapple finials. 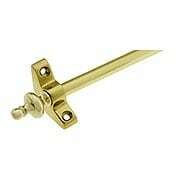 The 3/8" diameter tubing, finials and brackets are solid brass, with three traditional finish options. Choose from 28.5", 36" or 48" lengths. Lovely urn finials dress up these slender carpet runner rods. 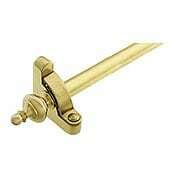 The 3/8" diameter tubing, finials and brackets are solid brass, with three traditional finish options. Choose from 28.5", 36" or 48" lengths. These slender, pineapple-tip carpet rods are an economical way to give your stair a sophisticated flair. 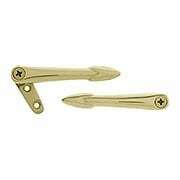 They're made of 3/8" diameter plated-zinc alloy tubing, with solid brackets and finials. Available in 28.5", 36" & 48" lengths. These slender, urn-tip carpet rods are an economical way to give your stair a sophisticated flair. 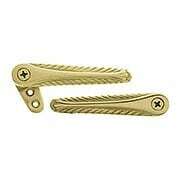 They're made of 3/8" diameter plated-zinc alloy tubing, with solid brackets and finials. Available in 28.5", 36" & 48" lengths. 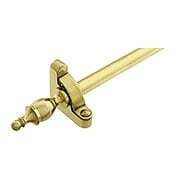 Regal crown finials add a gracious touch to these deluxe carpet rods. The 1/2" diameter hollow tubing and plain brackets are made entirely of brass, with your choice of 6 classic finishes! Available in 28.5", 36", 48" and 72" lengths. 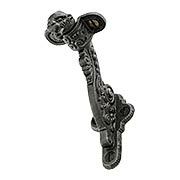 These premium stair runner rods feature graceful urn-shaped finials. The 1/2" diameter hollow tubing and plain brackets are made entirely of brass, with your choice of 6 classic finishes! Available in 28.5", 36", 48" and 72" lengths. 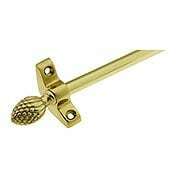 Beautifully detailed pineapple finials add a gracious touch to these premium carpet rods. The 1/2" diameter hollow tubing and plain brackets are made entirely of brass, with your choice of 6 classic finishes! Available in 28.5", 36", 48" and 72" lengths. This distinctive Victorian handrail bracket features a delicate spider web design based on a circa 1880 original. 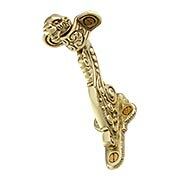 Beautifully made of solid brass and available in three finishes. Russell & Erwin designed this marvelous lion-head bracket around 1880. A fine example of the Renaissance Revival style, it adds a regal touch to any staircase. Made of cast iron with a lacquered finish. This distinctive Victorian handrail bracket features a delicate spider web design based on a circa 1880 original. 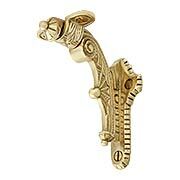 Beautifully made of solid brass, with our exclusive Antique-by-Hand finish. Russell & Erwin designed this marvelous lion-head bracket around 1880. A fine example of the Renaissance Revival style, it adds a regal touch to any staircase. 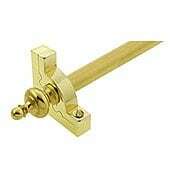 Solid brass, with your choice of a polished or antiqued finishes (lacquered). This distinctive Victorian handrail bracket features a delicate spider web design based on a circa 1880 original. 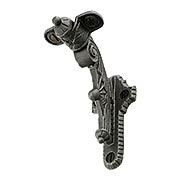 Made of heavy cast iron with a lacquered finish.